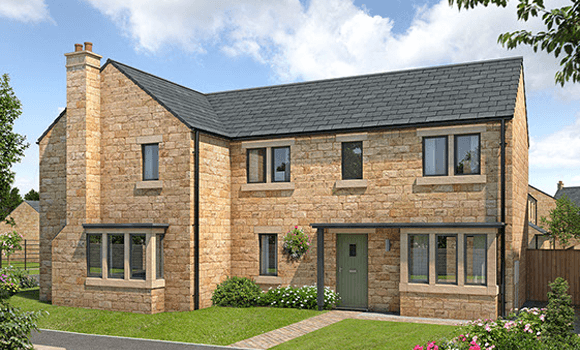 Chesters Meadow offers high-quality stone-built homes in an idyllic village setting. 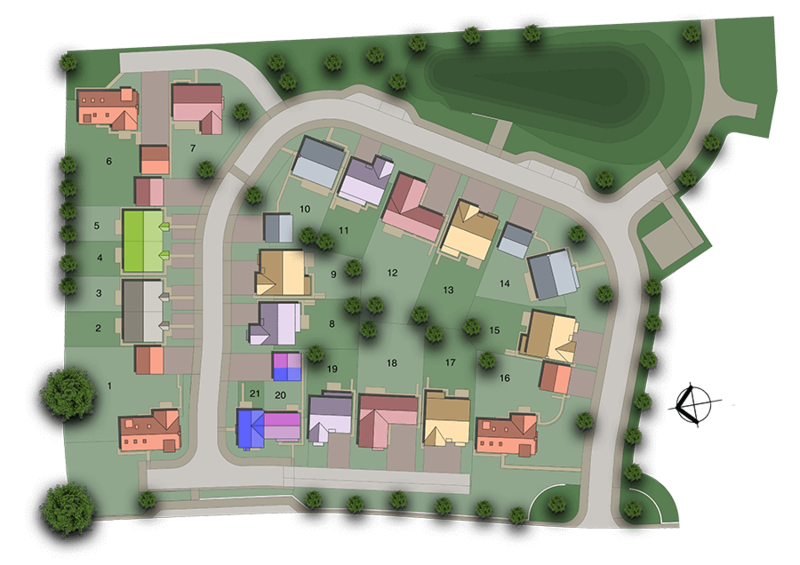 The impressive new development of 2, 3, 4 & 5-bedroom houses and bungalows is surrounded by open countryside and benefits from a thriving village community with lots of useful amenities close at-hand. Each property blends beautiful architecture and materials with contemporary interiors and versatile living spaces. Homeowners can enjoy luxury features such as bi-folding doors, granite worktops, generous turfed gardens, triple glazing and smart heating. 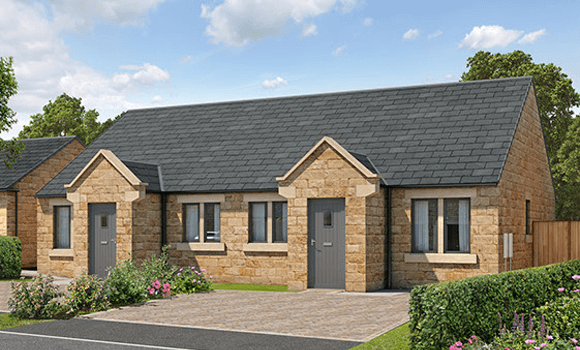 The Darwin is a spacious 4-bedroom dormer bungalow, with a large open-plan kitchen, family and dining area with bi-fold doors to the rear. The Nightingale is a 2-bedroom semi-detached bungalow, with modern kitchen and rear living room with double doors to the garden. 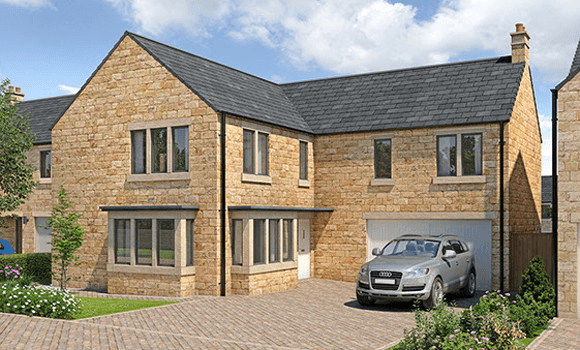 The Churchill is a spacious 5-bedroom detached executive home, with a large open-plan kitchen, family and dining area with bi-fold doors to the rear. 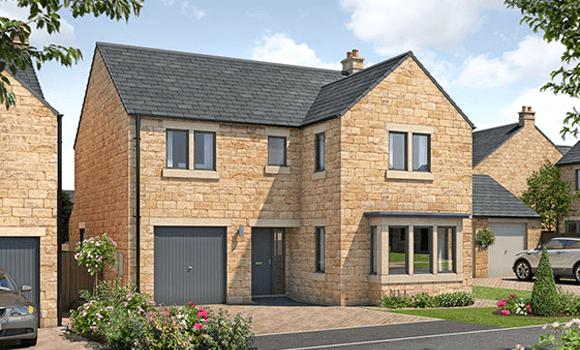 The Newton is a spacious 4-bedroom detached executive home, with a large open-plan kitchen, family and dining area with bi-fold doors. 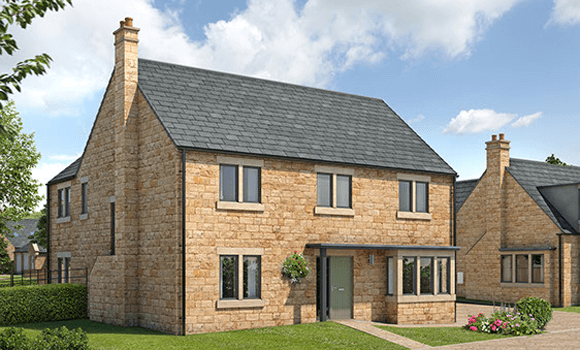 The Shakespeare is a spacious 5-bedroom detached executive home, with a large open-plan kitchen, family and dining area with bi-fold doors. 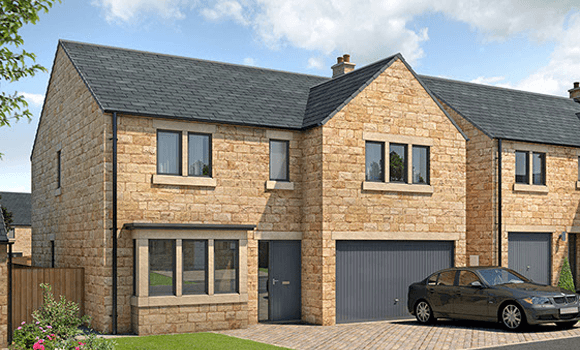 The Nelson is a spacious 4-bedroom detached executive home, with a large open-plan kitchen, family and dining area with two sets of bi-fold doors. 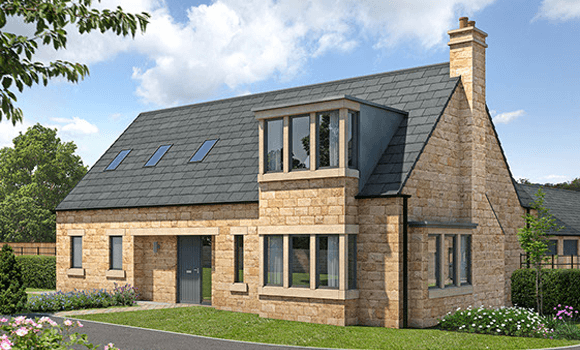 The Brunel is a spacious 5-bedroom detached executive home, with a large open-plan kitchen, family and dining area with bi-fold doors to the rear. 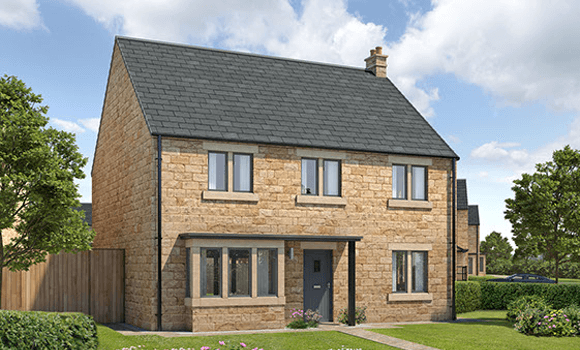 The Cook is a 3-bedroom semi-detached home, with a large open-plan kitchen, family and dining area with bi-fold doors to the rear. The picturesque village of Humshaugh enjoys a wide range of local amenities including a doctor’s surgery, Humshaugh First School, an award-winning community-run village shop, two welcoming pubs, a church and a popular village hall. Whilst the rural village is well catered for, it’s only a short drive to the larger thriving towns of Hexham and Corbridge, being 6 and 8 miles away respectively. 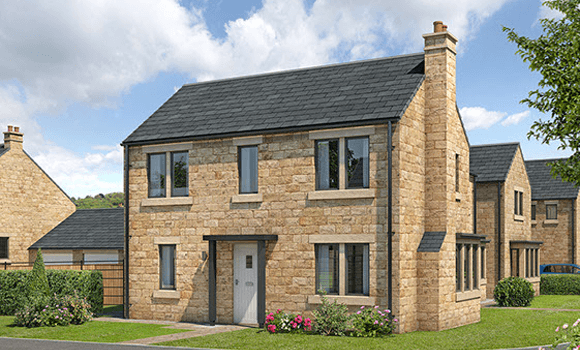 Chesters Meadow is also nestled in the heart of Hadrian’s Wall country, making it an enviable place to call home. Children at Chesters Meadow can benefit from a privileged choice of schools for all ages, with fantastic Ofsted ratings. Humshaugh First School is conveniently on the doorstep and the closest high school at nearby Hexham boasts outstanding results. With the A69 being so easily accessible, the bright lights of Newcastle city centre are only 35 minutes away. Alternatively, you can take a direct train service from the nearby station at Hexham, which is just 6 miles away and is on the Carlisle to Newcastle upon Tyne line, offering links to mainline services on the east and west coasts as well as to the Gateshead Metro Centre and villages along the Tyne Valley. The Humshaugh area is criss-crossed with national cycle routes and national byways, plus there is a network of local bus services from Humshaugh to Acomb, Hexham, Wark, Bellingham and Kielder, making it the perfect location to enjoy village life with easy access to your surroundings. For international destinations, Newcastle Airport is just 30 minutes away by car. Humshaugh’s very own The Crown Inn is highly-rated and offers delicious food in a relaxed country setting, and there are plenty of idyllic tearooms and coffee houses that you’ll be delighted to discover as you explore the surrounding areas. For special occasions we recommend you treat yourself to the fine dining of nearby Walwick Hall, with its Georgian architecture providing an amazing backdrop to the memorable dishes being served. Humshaugh really does offer the best of both worlds with its picture-perfect landscape and a host of local attractions and nearby places of interest. See what life was like at one the Roman Empire's most northern outposts by visiting Chesters Roman Fort only one mile away, where you can wander around the well-preserved and most complete Roman cavalry fort in Britain. There’s plenty more to explore along Hadrian’s Wall with lots of historic remnants, welcoming tearooms and enjoyable walks. Walwick Hall offers the perfect place to unwind less than 2 miles away with its boutique country hotel, restaurant and spa facilities set in 100 acres of stunning Northumberland countryside.